The Hales Corners pool is a 50 yard, deep water pool with swim lanes, a diving well and stair step entry. The pool offers great fitness and fun for people of all ages. Swim laps, cool off in the refreshing water, jump off the diving boards, or simply relax in the sun on the generous pool deck. The pool is open daily during the summer season and is staffed by Milwaukee County life guards and park workers. Hours are 12:30— 4:30 p.m. every day, and evening swimming is on Mondays and Wednesdays from 5:30—7:30 p.m. There has been some updates to the pool this year such as sanding and painting! How would you like to market your business or community organization to 50- 500 daily pool patrons, along with thousands of others in the park every day, this summer and next, for picnics, Little League games, basketball, tennis, and volleyball? Not to mention the over 1,200 runners for the Firecracker Four race and the July 4th fireworks! For the 13th consecutive summer swimming season, the Friends of Hales Park & Pool offer businesses and community organizations the opportunity to purchase advertising on a banner that is hung on the fence surrounding Hales Corners Pool. 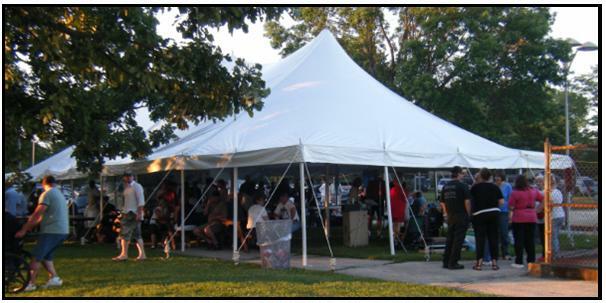 The Friends of Hales Corners Park and Pool have fundraising activities and events all year. Check our news page for the latest. © 2016 Friends of Hales Corners Park & Pool. All rights reserved.